There is terrific news for patients and providers in Texas. On May 27, Texas governor, Greg Abbott, signed into law Senate Bill No. 1107, which essentially removed the requirement for a physician-patient relationship to be established in a medical setting before telemedicine services could be used. This new law paves the way for an enormous expansion of the use of video visits in the state. While telemedicine has gained strong traction in other states across the country, its use in Texas has been limited. The online health care provider, Teladoc filed suit against the Texas Medical Board arguing that its approach to regulating telemedicine was overly strict, thus hurting competition and keeping Texans from accessing needed care. 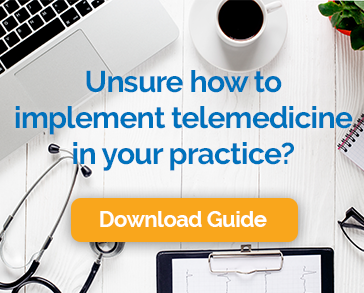 In September 2016, the Federal Trade Commission (FTC) and US Department of Justice (DOJ) advocated in support of Teladoc and the broad use and adoption of telehealth. (3) provides the telemedicine medical services through the use of synchronous audiovisual interaction or asynchronous store and forward technology, including store and forward technology in conjunction with synchronous audio interaction. Some additional rules apply to asynchronous (store and forward) telemedicine including the ability to access clinically relevant images, the patient’s medical records, and another form of audiovisual telecommunication technology that allows for the in-person standard of care to be met. The law instructs the Texas Medical Board, Texas Board of Nursing, Texas Physician Assistant Board and Texas State Board of Pharmacy to adopt rules that establish the determination of a valid prescription. There is, however, a restriction on the prescription of any abortion-inducing drugs or devices. Texas law already includes a telehealth and telemedicine “coverage parity law.” The Texas Insurance Code provides that a health benefit plan may not exclude a telemedicine or a telehealth service from coverage under the plan solely because the service is not provided through a face-to-face consultation and the health benefit plan may require a deductible, a copayment or coinsurance for a telemedicine medical service or a telehealth service, which may not exceed the amount of the deductible, copayment or coinsurance required for a comparable medical service provided through a face-to-face consultation. The new bill actually narrows the current parity law to exclude coverage for services provided only via audio or facsimile. Texas faces some of the biggest healthcare challenges in the country. Many people live far from providers, patients suffer from long wait times, and there is a shortage of physicians to meet basic healthcare needs. Texas ranks 46th among the states regarding primary care physicians per capita and thirty-five counties have no family physicians at all. Gerald Ray Callas, MD, chair of the Texas Medical Association (TMA) Council on Legislation, told Medscape Medical News that the TMA supported the legislation because it would increase access to care in rural areas while maintaining the standard of care in virtual visits. “Telemedicine is a great avenue to improve patients’ access and allow them to have access to physicians in rural communities and other communities where physicians are at a shortage, but still giving them the same advantage that people in big cities and suburbs have,” he said. Of course, even people in the urban areas will enjoy the flexibility, cost-savings, and convenience that telemedicine provides. Medical offices as well will have a new opportunity to create a revenue stream, improve work-life balance for providers, and improve health outcomes with streamlined follow-up and chronic condition management. This is all very good news for the Lone Star State.